A couple months ago I had the chance to take my nine-year-old daughter on a trip to Europe. It was to be a whirlwind couple of weeks to let her see a truly different culture (or two), and my main goal was to be sure she saw a lot, without getting bored. You parents out there can empathize - the single greatest enemy at that age is boredom. 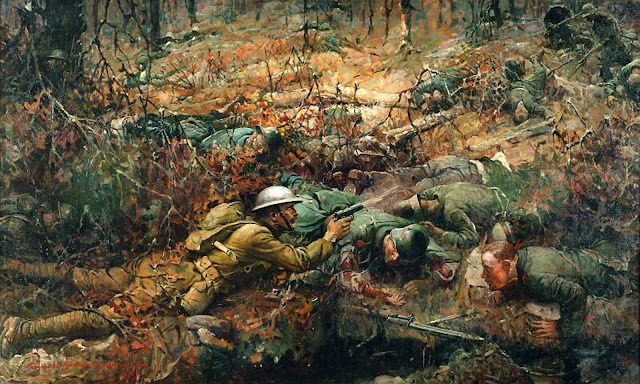 My hobby is military history, and though I knew her interest was limited, it was still there. I guess it’s hard not to pick up bits and pieces when you have a dad that has all these “old” books laying around. Yep, we would see the “touristy” stuff, but I was bound and determined to be sure that she saw a couple of battlefields in the middle of everything else. The reality of this trip was that I had only a couple weeks available to get away, but reckoned that would be enough. For the first time in years I made a list of places and things we must see. I joked with a friend that this reminded me of the old movie, If It’s Tuesday, This Must Be Belgium, and in fact we did find ourselves in Belgium on a Tuesday. We were to be traveling quite a bit - and the sad truth was that I had a budget to deal with. I was lucky enough to have airline miles to cover the trip, and hotel points for a couple nights along the way. But everything else was out of pocket, and I was priding myself on my ability to travel on a budget. I know how to travel, and was planning on doing my best to stick to the plan and - just as importantly - my budget. On our second day we were in Brussels, and still getting a feel for everything, and adjusting to the jet lag. I love Brussels, and because it’s such a great tourist town I always feel comfortable there. We’d first see the Grand Place, then Manneken Pis, then a quick walk up the hill for the palace and the park next door. In fact, I had the whole trip planned out: Eiffel Tower, check; Buckingham Palace, check; Harry Potter Experience, check; Yorkminster, check; Stirling Castle, check. If it was Tuesday, it had better be Belgium, and it had better cost what I had budgeted. So there we were on our second day in Brussels, and we’d had a great dinner, and things were beginning to feel like normal as we became adjusted to the time difference. 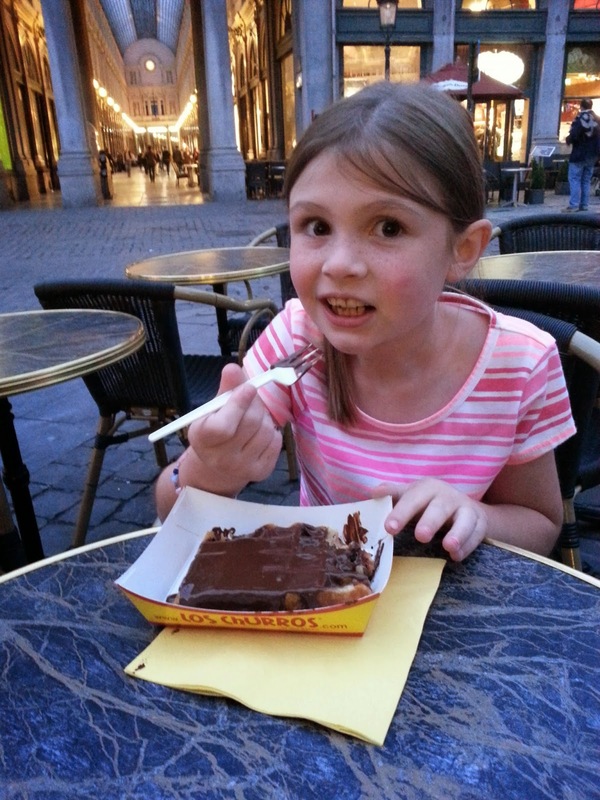 Our dinner was casual at one of the Brussels Grills - the one in the square just down from the train station - and Ella asked if she could have ice cream for dessert. She’d spied the ice cream shop there, just at the entrance to the old arcade. Of course she could have ice cream, and we walked over and stood in the long line, and just looked around at all that was going on. I silently said to myself that ice cream was not good for my waistline, and thought at the same time that by skipping, I might save a few euros. As long as she was happy, then I’d be happy. But as we got close to the ice cream, she started with little hops of excitement as she looked at the variety before us. She stared at the ice cream, and I just watched her, happy that the trip was starting off so well. Then she turned to me and, smiling, asked, “What kind are you going to get, Daddy?” I could have begged off about getting fat, or talked about how it’s important to save money on trips like this. But in one of my moments of “getting it” - of being smart - I asked, “What kind of chocolate do they have in there?" 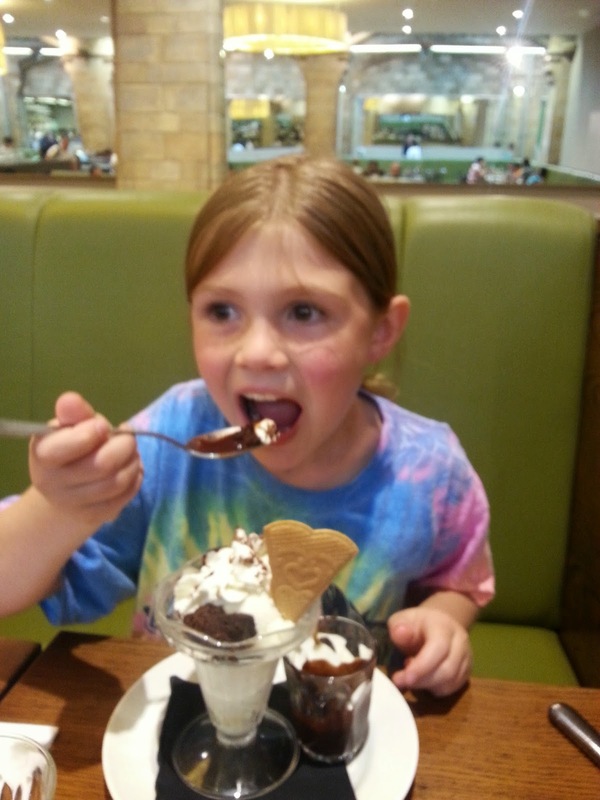 She wanted ice cream, but she craved a shared experience with her dad. I let her pick out some incredibly delicious Belgian chocolate for me, and I have to admit that I can’t even remember what she had, even though she insisted I try some. We went walking through the arcade, and talked about how good that ice cream was, how it was different from home, how the Belgians are famous for chocolate and lace, and how much her daddy loves his little girl. We may have even talked of shoes and ships and sealing wax - we had that much fun. So on the trip we had ice cream over and over again, and crepes, and Belgian Waffles, and you-name-it. Sometime you just have to forget the budget and the itinerary, and focus on the experience, because that’s what you’ll remember long after the bills are paid. P.S. 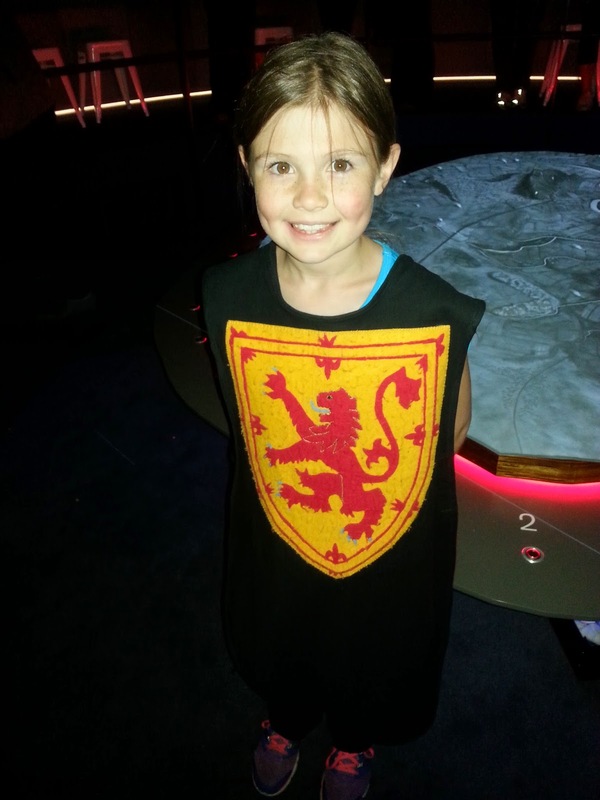 Yeah, she did trot to the top of Butte de Lion at Waterloo, and the gamemaster at Bannockburn made her King Robert. The Scots lost...barely. This was most endearing, loved the Alice (the time has come the Walrus said...) quote. Little girls are magic and traveling with them is priceless.